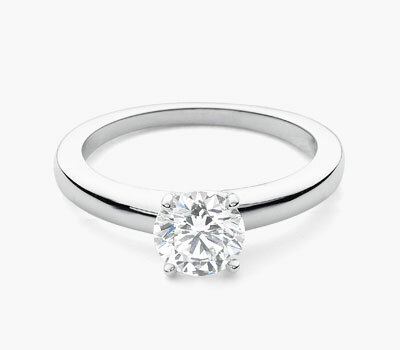 We are proud to present a perfect expression of simple sophistication, The Hamilton Solitaire Ring. Since 1912, Hamilton has offered timeless design and meticulous craftsmanship to our discriminating clients. This handmade ring has our signature diamond on the shank, and is available in various sizes in platinum or 18k white gold. Eternity starts now.